Actor Ali Asgar, formerly of The Kapil Sharma Show, has revealed that he quit the comedy series because of 'creative differences' and because his character on the show was becoming 'stagnant,' reported IANS. 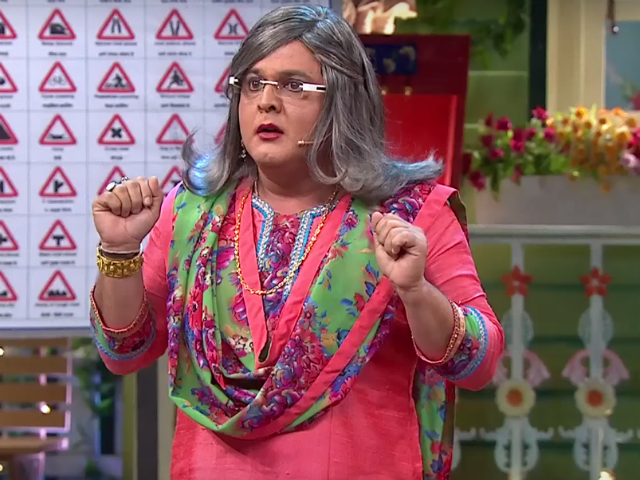 Mr Asgar, 50, played Pushpa Nani on The Kapil Sharma Show, which suffered a massive upheaval some months ago after headliner Kapil Sharma allegedly assaulted co-star Sunil Grover. Mr Grover did not return to the series and neither did several others from the line-up, Ali Asgar among them. It would appear, from Mr Asgar's comments, that the controversy was not why he exited the show. Speaking at a screening of Despicable Me 3 (he features in the Hindi dub), Ali Asgar said, "We worked there for the longest period of time, but after a certain point, there was a time when I felt that I should move from the show because I had creative differences with Kapil and his team. My character wasn't going anywhere and it was becoming stagnant and I felt there was no scope for creative improvement," reported IANS. "I really miss that show. It was unfortunate, but there are some times when you have to take certain kind of decisions," Ali Asgar said, reported IANS. He also insisted that he has nothing against former co-star Kapil Sharma. "Why should I have any grudges against him? We only had professional creative differences with each other. I have nothing personal against him. I learned a lot from Kapil in terms of timing. We had some good memories on the show," Mr Asgar said, reported IANS. In March, Kapil Sharma was accused of having a meltdown while flying home from Melbourne with his castmates. On the flight out, the comedian allegedly began ranting at his co-stars for eating before he had finished his drink, and then hit Sunil Grover with a shoe for intervening. Mr Sharma was allegedly drunk. He later apologized on Twitter but Mr Grover refused to return to The Kapil Sharma Show. Ali Asgar and co-star Chandan Prabhakar left at the same time. Ali Asgar will next be co-hosting a new show with Sunil Grover, on which Salman Khan will promote his forthcoming film Tubelight. "My next show is not creatively locked yet, there is still time, but we are working on it and if it happens people will be able to see all of us again on small screen," IANS quoted Ali Asgar as saying. "Salman and Sohail Khan did a lot of fun on the show. The gigs were good and I hope the audience will have a great time watching it," Ali Asgar added.